Dave is fourteen years old, living with his family in a cabin on Oregon's Mount Hood (or as he prefers to call it, like the Multnomah tribal peoples once did, Wy'east). Dave will soon enter high school, with adulthood and a future not far off-a future away from his mother, father, his precocious younger sister, and the wilderness where he's lived all his life. And Dave is not the only one approaching adulthood and its freedoms on Wy'east that summer. Martin, a pine marten (of the mustelid family), is leaving his own mother and siblings and setting off on his own as well. As Dave and Martin set off on their own adventures, their lives, paths, and trails will cross, weave, and blend. Why not come with them as they set forth into the forest and crags of Oregon's soaring mountain wilderness in search of life, family, friends, enemies, wonder, mystery, and good things to eat? 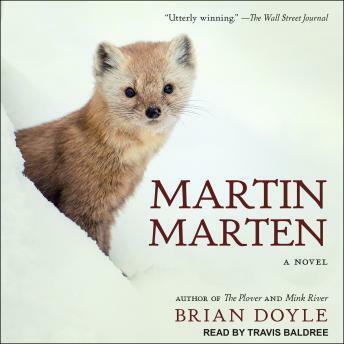 Martin Marten is a braided coming-of-age tale like no other, told in Brian Doyle's joyous, rollicking style.